FOODIE ALERT…. 11 MADISON PARK HEADS EAST. for American Express card holders and are being done online at the EMP SUMMER HOUSE website. According to their press release, the fare will be a bit more casual than the city venue, with lobster, fried chicken, flatbread and salads on the menu. So far I’ve not had much luck getting at table after navigating the website and two hung ups with American Express. I called Monday to get information on the website from Amex and got a recording the wait time was 45 minutes – apparently Paul McCartney tickets went on sale at the same time. Membership has its privileges indeed! It’s called frustration! Anyway, thanks to me you now have the web address (a step ahead of where I was) and the knowledge that new reservations will be made available online on June 1st at 12 p.m. These available dates will be from July 15th through August 15th. I’m not sure how anyone can plan a meal that far in advance? I can barely decide what I’m doing today but I’ll tag along if you get a reservation. ONE OF 10…. HALSEY LANE. THE TREE STREETS: Oak –17 Streets in Southampton and 7 in East Hampton, Cedar – (including Points, Views etc.) 18 streets in Southampton and 6 in East Hampton, Pine – 23 in Southampton and 4 in East Hampton. THE OLD FAMILY STREETS: Hildreth – (not including the stores) 9 streets in Southampton and 2 in East Hampton. Halsey –10 in Southampton and 0 in East Hampton and Gardners – 4 in Southampton and 5 in East Hampton. Luckily there is only one Widow Gavitz Lane and Downer Place in all the Hamptons. THE WATER STREETS: Bay – 24 in Southampton including the views and 12 in East Hampton, Ocean – 9 in Southampton and 8 in East Hampton, Beach – 8 in Southampton and 7 in East Hampton. THE LOCATIONS: Middle – 5 in Southampton and 3 in East Hampton, Northwest – 1 in Southampton and 3 in East Hampton, Main – 3 in Southampton and 5 in East Hampton. I mentioned these streets in a blog once before but I thought it was worth reminding everyone given my recent missing customers. ARE THE TICKS REALLY WORSE THIS YEAR?? … PLUS, WHEN GOOD STREETS GET BAD NAMES! I’m sorry but I’m confused. This past Winter sucked… tons of snow… tons of cold…. a loooooong winter and yet “the ticks are worse than ever!” I thought if we had a cold winter then the tick population would be smaller. They froze right?! But now, I keep hearing the ticks are worse this year because we had a cold winter! My head is hurting. This is more head ache inducing than watching Madonna act…. the same bad actress who apparently doesn’t like paying taxes for her Hamptons spread!! Hmmmmmm. But I digress, Recently I got an e mail from a Mr. Richard Feder from Fort Lee, NJ who writes. “Dear Hamptons Chatter, So what’s the real deal on the ticks this year? Which kind of tick just bit me? Do I have Lyme disease or Lime disease? How do I remove a tick? Is it really worse this year than last year? What can I do to help keep ticks away?” Well Mr. Feder, you ask a lot of gross questions that I don’t want to answer. So instead, I’m suggesting you go visit the University of Rhode Island’s website www.tickencounter.org. There you’ll find the answers to everything you wanted to know about ticks that I found too gross to answer. One thing they do say on the site is that it is indeed worse this year than last year because of the cold. Uggghhhhh. Anyway, from the site… some good advice for parents…. Swamp Road -EH- As my friend Bill Mccuddy says, “only in the Hamptons will people pay $2 million to live on a road called Swamp.” My suggestion is to rename this Cedar Vista Way. Isn’t that better?! Widow Gavits Road -Sag Harbor- OMG… really? So sad. How about we call it, “New Chapter Lane.” I mean no disrespect to Mr. Gavits but don’t you think it’s time she moves on? You named a street after him? Van Houton Street – Southampton (Riverhead) – They named a street after Millhouse? The geeky kid?! How about Bart Boulevard instead. It still has that comic appeal but less nerdy! 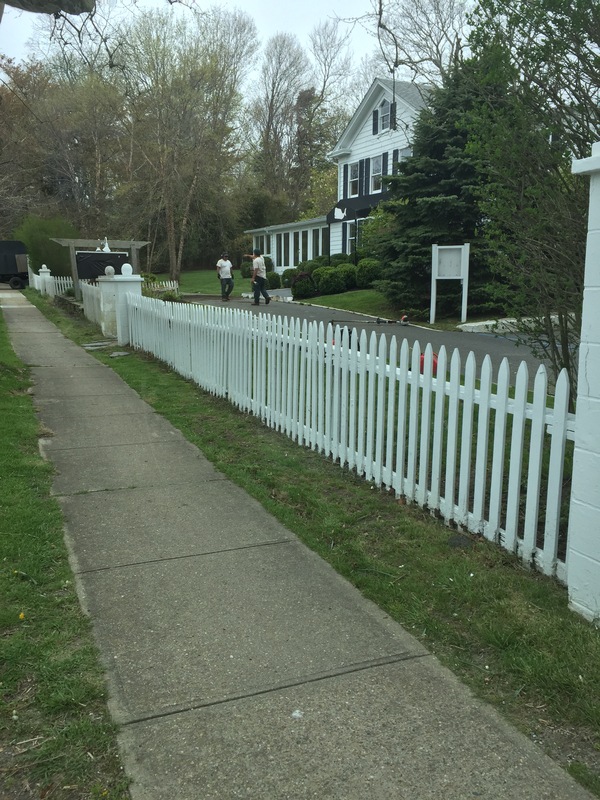 Mount Misery – Sag Harbor – Put on the Barry Manilow albums and get me a razor blade! It’s actually a really nice street and close to Sag Harbor Village But oh that name!! So what to do? Let’s rename it Fallon Way… after Jimmy Fallon! My favorite Hamptons celebrity who seems to always be happy and friendly to everyone! OK, how do we start this petition!? Dead Trail – Southampton – It’s located right off of Bridies path…. so why not call it Groomies path? Everyone loves a bride and groom. It’s a good location and surrounded by trees but what a bummer of a name. Although it’s a perfect location during Halloween! Insert scary laugh here! *not sure if it will really help values but hopefully you got a good chuckle. Hamptons Multiplicity…. Directions Appreciated! Plus, Annie Hall Hits the Hamptons! This particular problem was such a dilemma at my old house, Amazon Packages went to the address on Three Mile Harbor Drive and the group house there enjoyed my dvd copies of “Super Size Me” and the Star Wars box set! It also was the cause of me nearly hitting a 4 ton boulder when a delivery meant for Drive ended up at my house on the Road and I plowed down my flag lot going 40 miles an hour (yes, too fast I know). It also was also responsible for one of the greatest surprise of my life….. a new BMW convertible. It was also a huge disappointment when said convertible was quickly picked up for the charity event on Three Mile Harbor Hog Creek (all true). Doesn’t everybody want to live on a road called Hog Creek? I mean its almost as glamorous as saying I live on Swamp Road with my own cement pond. I know addresses for a living and even I find it confusing. So while giggling about the drunken visitors with cab drivers that need a good two hours to make it from Bobby Van’s to their rented house on Hildreth (“no, it’s the one with cedar shingles and a pool in the backyard!”), I started thinking, what are some of the most confusing addresses on the East End? So, consulting my HC board of distrustees I threw the question out, “what are some of the most confusing common street names in the Hamptons?” While I’m here to give you the results of my inquiry, let me first say if you live on a street named after a tree, you’re already screwed. Also, if you’re going to any location in the Hamptons, make sure you get some cross streets for your GPS. Because if you try calling from the car, odds are you won’t get a cell signal anyway! So here they are in no way a thorough or scientific analysis; the more confusing addresses/street locations in the Hamptons where if you are hosting a party there…. give directions! 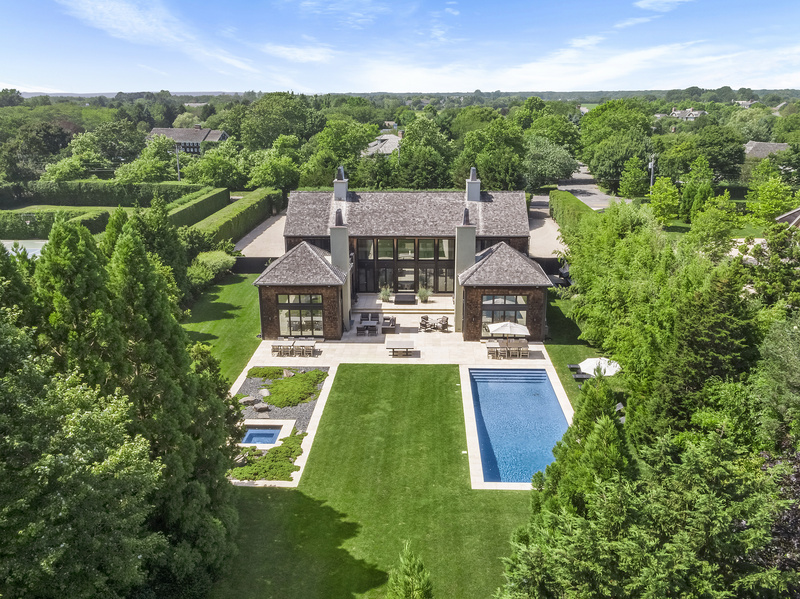 THE TREE STREETS: Oak –17 Streets in Southampton and 7 in East Hampton, Cedar – (including Points, Views etch) 18 streets in Southampton and 6 in East Hampton, Pine – 23 in Southampton and 4 in East Hampton. THE OLD FAMILY STREETS: Hildreth – (not including the stores) 9 streets in Southampton and 2 in East Hampton. Halsey –10 in Southampton and 0 in East Hampton (I guess they couldn’t get a table at the old Della Femina) and Gardners – 4 in Southampton and 5 in East Hampton. Luckily there are only one Tony Tiska’s Path and Uncle Leo’s Lane in all the Hamptons. My suggestion for each town is to sell off the duplicate street names to corporate sponsors and lower our taxes. But please for goodness sake, I will never live on Walmart or Chick-fil-A Boulevards!